Ajanta Suri is a disciple of Yogi Paramahansa Satyananda Saraswati since the 1980s. She met him in Paris where she was studying design, after completing high school in the Himalayas, India. After meeting her Guru she was inspired to practice yoga and to study it’s immense body of teachings on psychology, philosophy and overall human well being. In awe of the great body of knowledge contained in yogic texts, she embraced yoga as a lifestyle. She opened her first yoga center in 1999, when instructed to do so by her Guru. She also founded and published Yogaworld, a yoga magazine in Spanish. 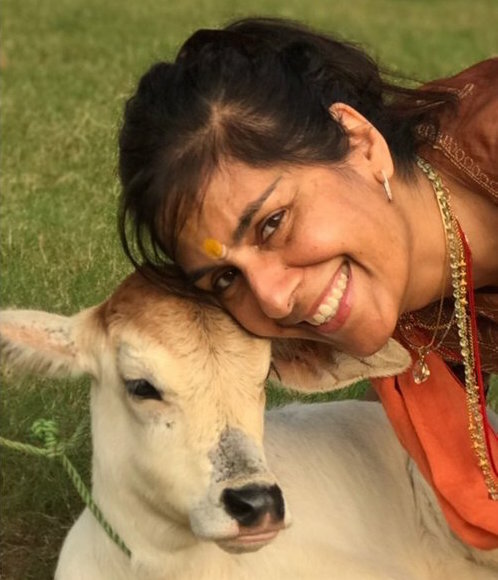 She now leads yogic retreats and workshops in Barcelona and India and is very grateful for this wonderful opportunity to serve people through the great yogic tradition. Nikhil Rathore received initiation as a disciple of Paramahansa Satyananda Saraswati at the age of seven. Yoga & Ayurveda has been passed down in Nikhil’s family for four generations, his Great-Grandfather was a renowned Ayurved in Jabalpur, India. Initially learning from his mother, Usha Devi, a Bihar School teacher, Yoga has remained a constant influence in his upbringing. Nikhil immersed himself into Yoga and Ayurveda as a lifestyle. A strong believer in the healing and health giving powers of Yoga & Ayurvedic practises, Nikhil is grateful to share these with others. He teaches Yoga in London and is also a qualified Thai Massage therapist; a deeply therapeutic healing art, which has its roots in Indian yogic sciences.